Home > News > 3D Secure > What Are Some of the Most Common Cyber Threats Businesses Should Be Worried about in 2018? Did you know that your gift card could be hacked? There was a recent story on Today that highlighted how hackers could steal the pin numbers of various gift cards and drain their funds. One cyber security expert interviewed in the story said he was able to hack a website and steal the pin numbers of gift cards one at a time. As Americans will spend more than $27 billion on gift cards this year, hacking is a major concern that all businesses should be concerned with. However, this is just one of many threats. Hackers are getting more sophisticated, and every business should implement security measures to protect its data, and its customers’ data. 2017 was a bad year for cyber security, and we don’t even know the extent of the damage. The Equifax hacking alone allowed the Social Security numbers and other important data of half the population in the United States to be exposed. What Are Some Cyber Security Threats Every Business Owner Should Be Worried about? At the beginning of this year, the MIT Technology Review released a post about the top six cyber security threats to be aware of in 2018. First on the list were data breaches. Many cyber security experts believe that data brokers are particularly at risk because the industry is under regulated. 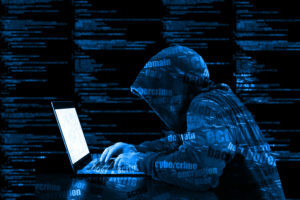 Another cyber security threat the publication sees is ransomware against cloud computing businesses that hold extraordinary amounts of data for companies of all kinds as well as consumers. Some ransomware strains already have affected hundreds of thousands of computers or more. Finally, cyber experts believe that hackers will use AI to create fake messages and distribute them to millions of people in various phishing schemes. We have reached a point with AI that it can replicate humans regarding messaging. AI may also be used in malware design that can fool even the best of security systems. With all of this in mind, it’s important for businesses to invest in the best cyber security programs available. Merchants who conduct business online, for example, must look at payment gateway solutions that not only ensure efficient transaction processing, but features the best PCI-compliant security features as well. We highly encourage you to check out our payment gateway solutions and discover why international merchants can rest easy knowing their data is safe.